Sign Up for the Car Care Club! Our goal is to provide you with great customer service and quality auto repair. De Pere Auto knows that keeping a car running in peak condition can be expensive, but it is necessary to increase the longevity of your car. To better serve you, De Pere Auto created a program to help reduce your overall costs on maintenance and auto repair. With the Car Care Club Card, you could easily save up to $436.00 over the next year on car maintenance and auto repair! De Pere Auto’s program will save you money even if you do not use all of the services available. The four *free oil changes alone are well worth the introductory price of $119.95. De Pere Auto values the importance of providing the best service to our customers in De Pere. 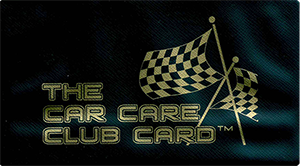 Auto repair and maintenance are necessities for all cars within a household, so the Car Care Club Card may be used on multiple cars or multiple services per visit! If you own a newer car and may not need all of the offered services, you can give your discount card to a family member to use on any repairs they may need. Call us today at (920) 336-2200 and sign up for the De Pere Auto Car Care Club Program!